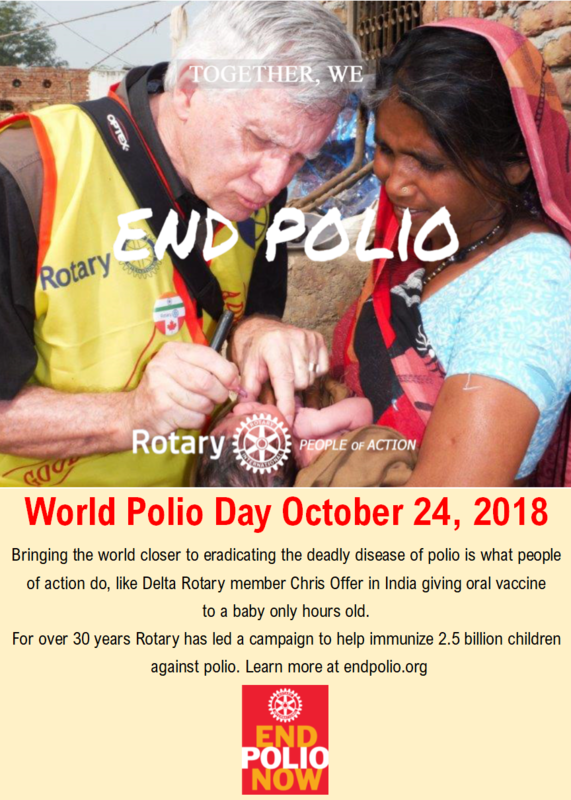 The Rotary Club of Tsawwassen in conjunction with all Rotary Clubs around the world asks you to Be the Inspiration to End Polio Now. We are very close to this momentous goal and on 24th October, Rotary will again mark World Polio Day. We ask all of you to join us on that day in raising global awareness of the urgent need to End Polio Now.